Don't miss this incredible night as Papa Roach comes to perform LIVE at Hollywood Palladium on Saturday 31st August 2019! The long-standing band have had an amazing career over the last 25+ years with releases and touring around the world… Papa Roach are now coming to celebrate with their summer dates across the US! Get ready for a night you won't soon forget – tickets are NOW on sale! As one of the biggest rock bands to this day, Papa Roach bring their fusion of metal rock and rap, since their very first debut back in 1993. With a solid 25 years under their belts, these guys have transformed the music scene and developed their own individual sound, that is instantly recognisable. After meeting at School, Jacoby Shaddix and Dave Buckner decided to join their creative forces and craft a band, little did they know this decision that they had made while standing on a football field would give them a successful future in music. Together they recruited other members Will James and Jerry Horton and began making songs. Their Papa Roach sound was born and in 1994, these guys were more than ready to release their first EP, "Potatoes for Christmas" came out whilst the group were still studying at school, working at local jobs and performing small gigs around their hometown. They quickly gained a following and became one of the quickest rising groups of the entire decade! Major labels were keen to get their attention and Papa Roach signed themselves up, ready in time for their debut "Infest" to be released. The incredible album gained them massive exposure and included the singles such as "Last Resort," "Infest," and "Broken Home." 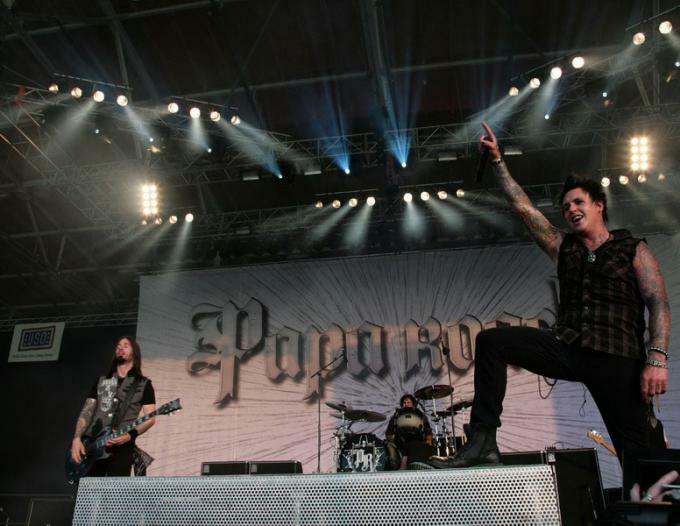 After it came to light, Papa Roach were well on their way to mainstream success, topping the charts and selling out shows where-ever they performed. Since then they have travelled across the world, spreading their music far and wide. They have played some incredible, mind blowing shows along the way including with the likes of; Ludacris, Eminem, and Limp Bizkit, as well as major festivals like the Ozzfest. It's not long to go until Papa Roach head to play live on their 2019 North American dates… if you love their music then be sure to get down to your local venue and spread the word to your friends!